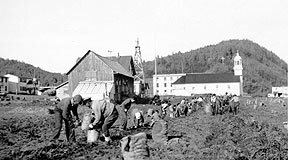 Deloycheet, Inc. is an Alaska Native Village Corporation that was incorporated in 1974 under Alaska Law and pursuant to the 1971 federal Alaska Native Claims Settlement Act, commonly referred to as (ANCSA). Congress significantly departed from its established federal Indian policy by enacting the Alaska Native Claims Settlement Act (ANCSA). Instead of the reservation system, used extensively in other parts of the U.S, a system of corporate ownership of assets was developed to ensure long-term profitability and financial independence for Native Alaskans. 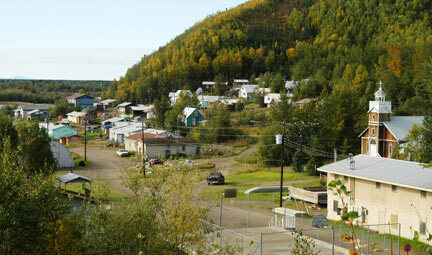 Deloycheet, Inc. corporate office is located in Holy Cross, Alaska. With over 550 shareholders and a 9 member Board of Directors. 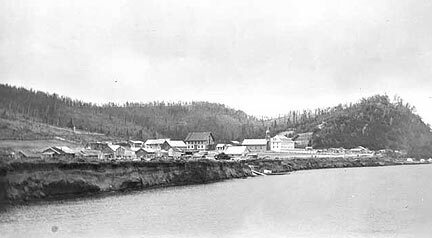 Holy Cross, a Native Alaskan village of 277, is located in interior Alaska by the banks of the Yukon River, 420 miles southwest of Fairbanks and 330 miles northwest of Anchorage. The Holy Cross area is comprised of 31 square miles of land and 6 square miles of water. Holy Cross, originally known as Anilukhtakpak, had its first contact with Europeans in the early 1840s when Russian explorers led by Lt. Zagoskin traveled the Yukon River. Father Aloysius Robaut, who came to Alaska across the Chilkoot Trail, established a Catholic mission and school at the village in the 1880s. 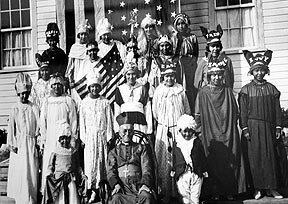 Ingalik Indians then migrated to Holy Cross to be near the mission. In 1899, a post office was opened under the name "Koserefsky." In 1912, the name of the town was changed once again, this time to "Holy Cross" after the mission. The river changed course during the 1930s, and by the mid-40s, it had formed the slough on which the village is now located. The original mission and many buildings were torn down after the boarding school ceased operations in 1956. Holy Cross is an Deg Hit'an Athabascan Indian village and is federally recognized. Population growth has been declining with a population of 277 people in the 2000 census and 178 people in the 2010 census. The village has a seasonal economy with its peak during the summer fishing period. 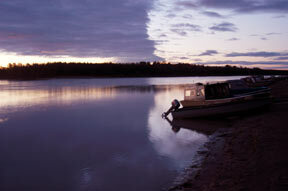 Subsistence and fishing-related activities are central to the lifestyle of residents. Homes are primarily single-family dwellings of either frame or log construction, with oil and wood burning stoves as the major heat sources. There are also new HUD sites available to expand housing for future village development. The weather in Holy Cross is dramatic, with temperatures ranging from - 62 degrees F in the winter to 93 degrees F in the summer. Snowfall averages 79 inches annually, with a total of 19 inches precipitation per year. 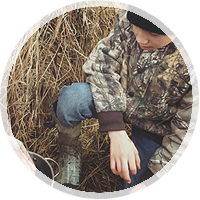 Holy Cross provides the community with well water, sewer, electric power, and solid waste collection. The water is piped from a deep well and is treated. A backup well, new pump house and water treatment facility have recently been constructed. The majority of the households and the school are connected to the water and sewer system; however, some residents still haul water and use outhouses. Development of a comprehensive sanitation plan is underway, as well as the use of a utility cooperative to more efficiently manage the water and sewer services. The village has bulk fuel storage facilities. There is one school in the community and medical services are provided by the Holy Cross Health Clinic. A mix of Native non-profit organizations provides other services such as housing, social services and other programs on behalf of all the villages in the area. Holy Cross is located in an unorganized borough of Alaska, in which services are primarily provided by state government. The City of Holy Cross was incorporated as a second-class city in 1968 and has an elected city council. It also has a tribal government, with a traditional council recognized federally as the official tribal governing body. 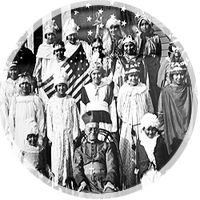 Under the Alaska Native Claims Settlement Act, regional and village corporations were established in Alaska. In Holy Cross, the village corporation is Deloycheet, Inc. Its more than 550 shareholders reside in Holy Cross, and other communities throughout the United States and the world. Deloycheet, Inc., has received patent from the Department of the Interior, Bureau of Land Management as of September 13, 2002, for the surface estate to all entitled lands in the Kuskokwim and Mt. McKinley recording districts as described in patent number 50-2002-0451. Deloycheet's land and resource management policies are also completed and adopted by the Deloycheet, Inc. Board of Directors on May 9, 2002. Holy Cross has a seasonal economy with its peak during the summer fishing season. There are approximately 50 full-time time jobs in the community, in addition to summer construction such as local capital improvement projects. A few residents also hold commercial salmon fishing permits. Subsistence hunting, fishing, trapping and gardening help to supply additional income. There are no taxes in Holy Cross. 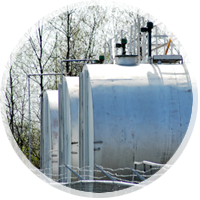 Deloycheet has been active in consultation, gravel sales, apartment and office rentals, and operating Holy Cross Oil. 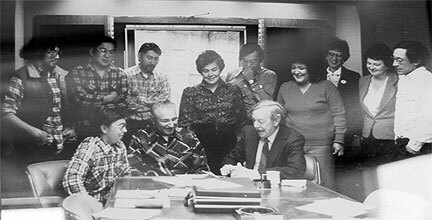 Deloycheet Board and lawyer signing the ANCSA documents in 1974.